Caesar Salad with Pangrattato - GetCooking! Everyday Gourmet’s – Caesar Salad with Pangrattato recipe. Our new concepts and innovations are based upon your needs. Enhance your talent and give full sense to your daily activities. Ready to go? Discover the world of Tefal. We’d love to hear your feedback on this video recipe format in the comments section below! If you used this video to make Caesar Salad with Pangrattato, please tell us how it went! 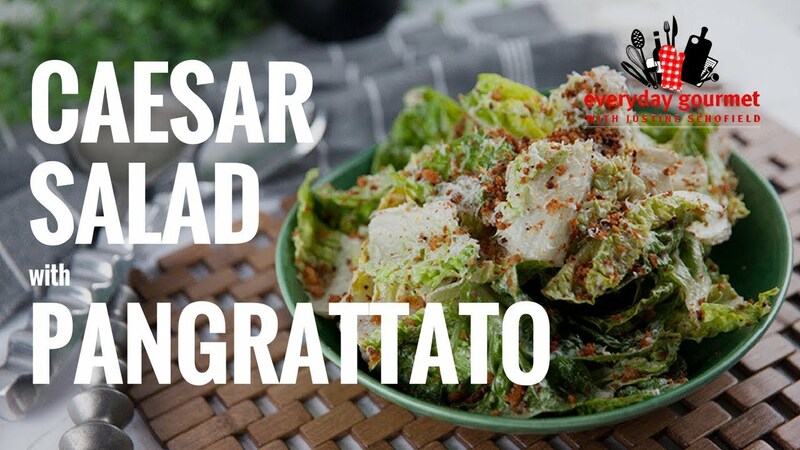 View the original recipe notes here: Everyday Gourmet’s – Caesar Salad with Pangrattato.